Get your lifestyle & home organised! What Is a Green or Sustainable Move? Moving out in a sustainable, environmentally-friendly manner is simply about finding ways to use green processes and products as much as possible when undertaking your next relocation. As we all know moving in or out for many is seen as a stressful task. However, that does not mean that you should avoid being environmentally-conscious when you are decluttering, cleaning, wrapping and packing up your belongings in preparation in moving them to your new destination. It’s time we all took responsibility to lower our negative environmental impact wherever we can even when it comes to moving time. This informative article by professional organisers Sydney – Mooving Matters will provide tips on how to create your own green move process with less stress, also saving your time and money along the way. With any relocation your first and most important advice is to plan your move well ahead of time. This will not only save you time and money, but it will also give you the opportunity to have a look at your move from a different perspective of achieving a greener and more sustainable one. By starting early you will gain better knowledge of what will fit into your new space in advance and know what you will need to bring or discard. 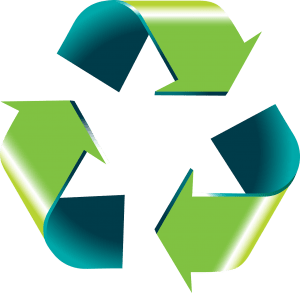 The rule of the 3 R’s – Reuse, Reduce & Recycle is a simple yet effective eco friendly principle and place to start when accessing your homes contents and if and how they will be used in your next home. Below are the major areas or aspects recommended by professional organisers Mooving Matters to put into play come moving time. Moving is the best way to kick that hoarding habit to the curb by donating or recycling things you no longer need or want. It’s a win-win situation as you will then use fewer packing materials and may reduce your moving truck trips which in turn can save you money and reducing your carbon footprint at the same time. Basically the golden rule here is to only pack what you need! Before you start packing for your move, take our old TVs, computers, mobile phones and other electronics and household appliances to a centre that specialises in recycling those items. Many retailers and local communities will have these recycle collection facilities for such products. Otherwise your local council will have a monthly e-waste pick-up scheduled for your neighbourhood, so best to contact them in advance on when the next pick up will be. Batteries and interior paint can also be disposed or recycled responsibly so try not to just throw these in you otto bin. Movers that pack for you, Mooving Matters believe it’s this little bit of extra effort that goes a long way for the environment. In terms of other everyday items as clothing and house hold goods and furniture you can look to donate these to your local charity store. Furniture, in particular, gets thrown out at record-high levels so try and pass it on if in good condition or if it can be restored. If the items you have are of value and you would like to make a few bucks at the same time, you can also look to place these on online market places as Ebay or Gumtree. Otherwise the good old garage sale could work for you to remove most of your items over a day. Use pre loved boxes – Check with the local grocery store if they can spare any empty cardboard boxes instead of buying new ones. This way, you will not only reduce waste, but will also save money on moving materials. Your new neighbours or extended family members or friends might have just moved and they could be open to selling or borrowing some of their relocation materials in order to help you facilitate your move. Ditch the cardboard option – Ever consider packing your belongings in your suitcases or using or purchasing large plastic storage bins? If you don’t have these handy and you don’t want to buy any, talk to moving matters about organising reusable crates that you can rent during your move. You can also use other containers and vessels as shoeboxes or sandwich bags to pack those small loose items. Done with your boxes and don’t want to hold on to them? There are plenty of mover and packers out there so be sure to pass on the boxes via posting them online for free or look to recycle them once your move is complete. Did you know that your home is already full of packing materials?! 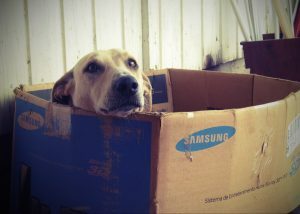 So don’t throw out those old newspapers, magazines, egg cartons, blankets, and towels. Newspaper is great for protecting glassware, plates, and other fragile items. If you prefer to purchase padding protecting, opt for reusable pads, recyclable packing paper, and specially marked corn or wheat based biodegradable bubble wrap and peanuts. Don’t forget you can also seal your boxes with tape made of biodegradable plant material. At Mooving Matters the home organisers and full service moving and packing and unpacking experts, we will be able to provide you with reusable, eco-friendly packing materials as well as suitable boxes and bins. As awareness of the need for more environmentally sustainable approaches grows, many removalist companies in the industry are now adopting a zero emissions approach with numerous many full service moving companies providing removalist trucks that use cleaner biodiesel fuel, Truck rental companies are also following suit offering similar options for those that want to complete a DIY move. If possible for longer-distance moves, look at consolidated shipping where you can pack your belongings in a compartmentalised truck with other movers. It’s a great way to reduce your move’s carbon footprint. Shipping your belongings by train is also a good idea for a greener move. If the company you choose simply doesn’t use any eco-friendly practices, you can ask them if they could make an exception — if you have something specific in mind. Provided that they are a reliable company which value their clients, they surely will be glad to listen your preferences and make an agreement. You will find that some relocation companies see being environmentally friendly as an integral part of their business values. 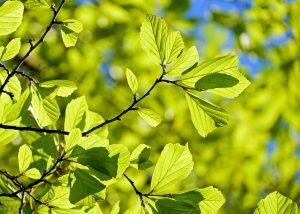 Companies that have Environment Accreditation ISO1400 – a standard recognized worldwide, is awarded to organisations that are aware and go out to actively reduce their impact on the environment. They will have a clear environmental policy, demonstrating their commitment to reducing their carbon footprint yet will keep to industry standards and quality. Before you get trigger happy with the bleach, remember that a lot of household cleaning products contain toxic chemicals that have an impact on the environment and also your health. They can get into and ultimately affect the quality of our water supply and cause harm to animals and humans with some household cleaners even cause air pollution. 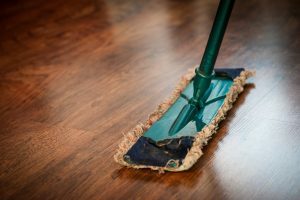 When embarking on your exit clean on your existing premises or getting your new home in sparkling condition, please try and opt for all natural cleaning agents instead. Vinegar, bicarb soda, ammonia, and lemon are cheap, readily available and all great replacements for regular chemical-based cleaners, and they work just as well. Buying second hand is also an option if you need to add any new furnishings to your new space and home. Second hand items reduce the waste in local landfills. If you need to repaint before decorating, choose Eco-friendly paint that is low VOC. Once you are done with the walls, look to recycle any empty leftover paint cans. As you are unpacking your truck and bring in your belongings to your new home try and close the door between each trip to grab boxes from the truck. If the weather allows it, avoid turning on the heater or air conditioner until after you bring everything inside and completed the move. This will reduces the amount of energy you use on your first day in your new home. If you don’t have time to do your unpack just leave it to the home organiser Sydney team at Mooving Matters your full serving moving, packing and unpacking company who are ready to help. If you have decided to combine your move with the replacement of your old appliances, buy only new generation, energy-saving products. Buy power strips to help you manage power to your appliances. Try to implement other similar tricks in order to create a sustainable, energy-efficient environment at your new home. Moving into a new property poses a good cause for evaluating your lighting situation. Install Compact Fluorescent Lamps (CFLs) and Light-Emitting Diodes (LEDs) as these are popular choices for energy saving, and while they might cost more up front, they will save you and the planet in the long run. Don’t forget to change all your addresses over to avoid the new residents letter box being filled with your personal mail. While notifying service companies of your address change why not request to go paperless and opt for email statements and bills wherever possible. Moving is a good excuse to seek out a more environmentally conscious energy provider. The ‘Green Electricity Guide’ is a great online reference for comparing the performance of Australian electricity providers. Prepping and or freezing meals for the packing and unpacking period is a good and environmentally considerate idea. Not only will it save you time and headaches, but it will also save you some dollars and the environment by avoiding excess takeaway costs and packaging wastage. Before your move consult with Mooving Matters your full service moving, packing and unpacking company on how they can help you achieve your next eco sustainable move. Our staff member’s many years of industry knowledge and experience may be able to identify other ways to reduce your move’s negative environmental impact. When the movers know your priorities, they will be able to perform their job better. Moving requires plenty of time and energy. If you plan ahead of time, you may be able to conserve energy and help save the environment as well. If you need help to getting started on organising your green move why not call on Mooving Matters your team of trusted and caring Professional Organisers. To arrange a complementary on-site inspection of your property by Mooving Matters, your home organiser Sydney or to simply discuss our ‘Ultimate full service packing + moving’ experience call (02) 93375333 or visit us at moovingmatters.com.au. Mooving Matters your full service Moving and packing team and professional Organisers Sydney. Servicing Sydney suburbs including Manly Freshwater, Cremorne, Hunters Hill,Woolwich, Bellevue Hill, Vaucluse, Pearling Pt, Point Piper and many more.